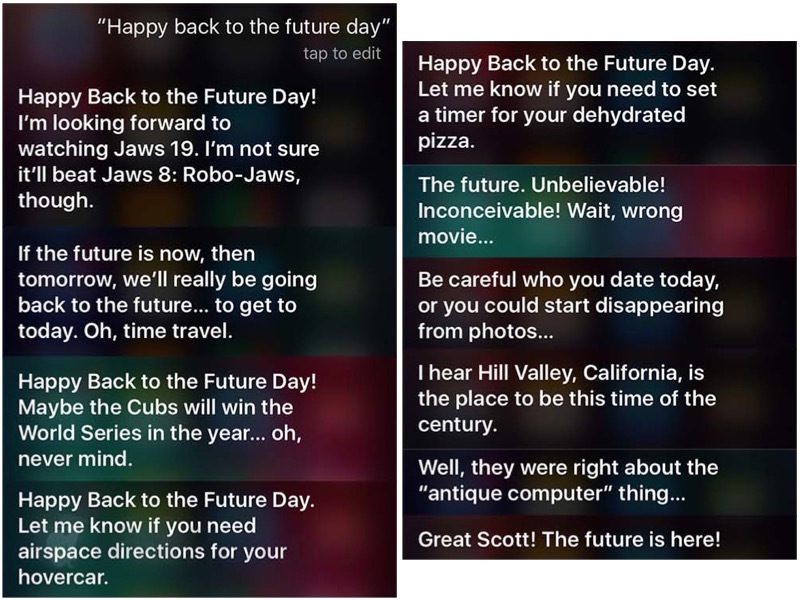 Apple has honored “Back to the Future” day by updating Siri with at least ten humorous responses related to the popular movie Back to the Future II, released in 1989. iPhone and iPad users can invoke Siri and say “happy Back to the Future day” to receive one of the responses below at random. 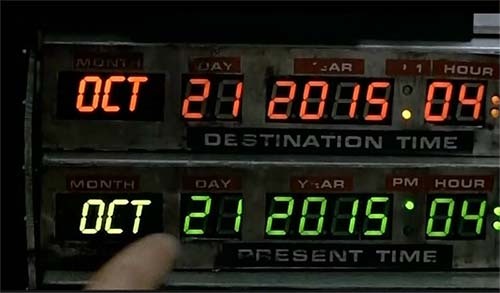 Today is “Back to the Future” day because October 21, 2015 is the date that Marty McFly and Dr. Emmett Brown travel to in the movie. The classic film makes several fictional predictions about the future, including hoverboards, flying cars, remote-control dog walkers and the Chicago Cubs winning the 2015 World Series. This entry was posted in Apple news and tagged Back to the Future, Siri. Bookmark the permalink.